Regarding the recent ridiculing avalanche in the virtual world against director Lingusamy’s interview on Anjaan in a TV show, director Venkat Prabhu has expressed his opinion on moviemaking and the audience on his personal Facebook page. 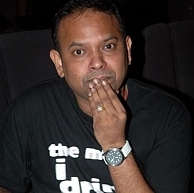 That sure is an awesome response Venkat Prabhu! Will it be third time lucky for Vishal? Thanga Meengal Won The Best Film At The 11th CIFF While Haridas Emerged As The Runner Up. People looking for online information on Lingusamy memes and trolls, Thanga Meengal, Venkat Prabhu will find this news story useful.